When we first moved to Japan I was worried I wouldn’t find anything I liked to eat. I mean they are so HEALTHY and eat so many veggies.. not really my thing. The apartments and homes done even have OVENS! I mean whats a baker to do! (I bought a mini oven). ANYWAY our first night in Japan we got picked up at the airport – dropped off at our furnished apartment and that was it! we were on our own! So we walked over to an internet cafe to email our parents (that we were safe) and my husband ordered dinner – THIS is what he ordered and I FELL IN LOVE! I knew ‘d be okay in Japan after that. 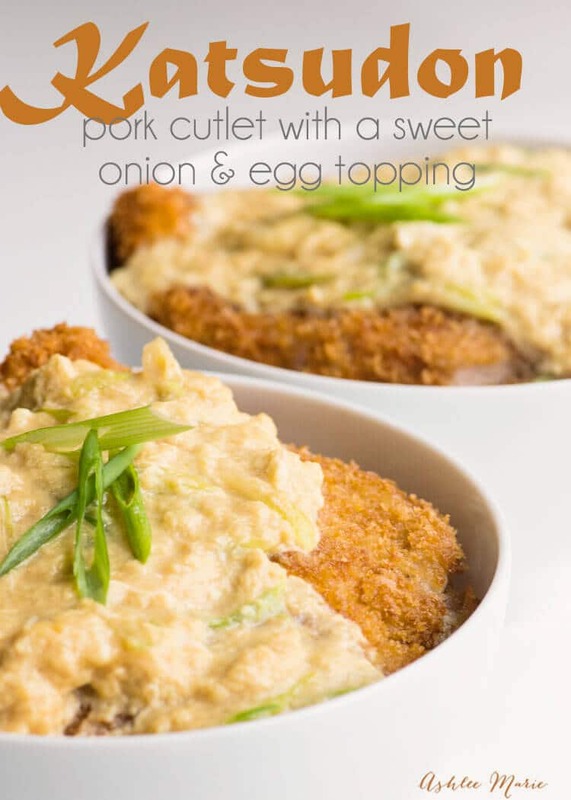 Now this egg and onion topping might sound weird – I mean of COURSE the pork is going to be good – but really? can I just say it’s AMAZING! 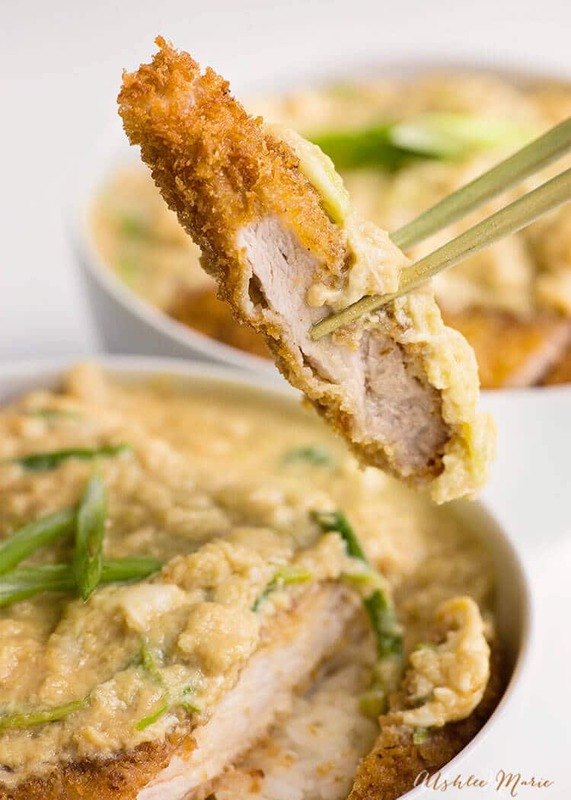 It’s slightly sweet, soaks into the rice and just is mouthwatering delicious! I seriously adore it and it’s still to this day one of my all time favorite meals! 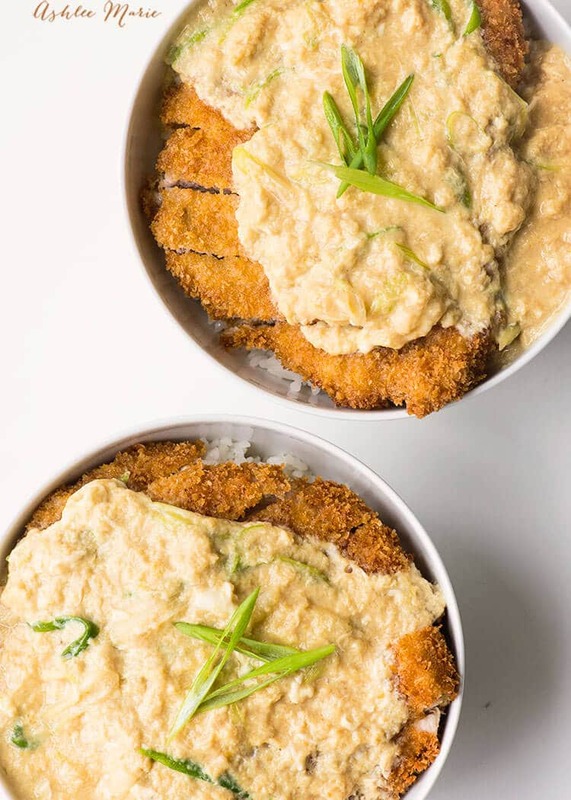 My kids favorite way to eat these breaded pork cutlets is with Tonkatsu sauce, which I also make in the video, but this is by far my favorite! In fact it had been a few years since I’d made it for myself when I filmed this, and I haven’t stopped craving it sense, making it again tonight! 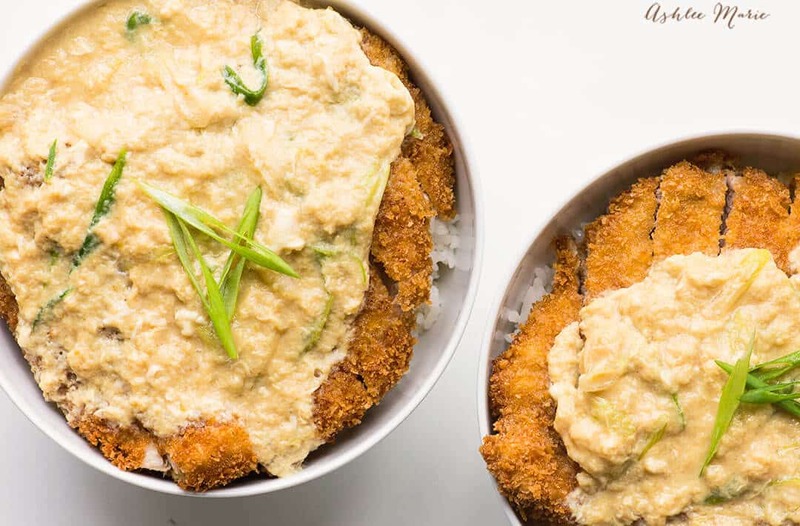 Pour over the cutlet and enjoy! Sooooo what about you! do you have a favorite ethnic dish? Something you were a little afraid to try then loved? I’d love to hear about it! Also anything ethnic you want to learn how to make, lets hear it!